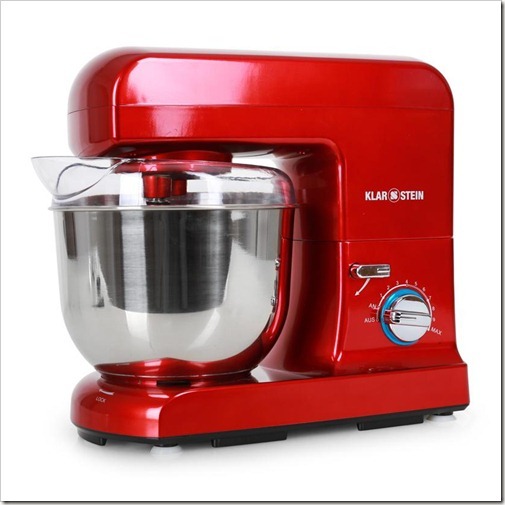 Bread Basics & A Chance to Win a Stand Mixer! If you follow me on Instagram or Twitter, you know that in the last few months I’ve really gotten into making my own bread. The seed was sown last year when I became addicted to the Great British Bakeoff, and was nurtured by a steady diet of Paul Hollywood’s Bread episodes and various River Cottage shows, which frequently sees the curly mopped-topped Hugh Fearnly Whittingstall whipping up batches of fresh baked breads and cakes. There’s just something so satisfying about the process of making your own bread: the mixing, the kneading, proofing and of course watching the pale ball of dough transform into a golden, crusty loaf. That said, I have found it difficult to find the time to bake bread regularly and up until now it’s been an every-second-weekend hobby. Mixing the dough by hand means making a goopy mess of the bowl and your fingers, and the kneading process requires a clean worktop (meaning you need to sanitise it first! ), 10-12 minutes of pushing and pulling the dough and then of course the clean-up afterward. Sometimes during this laborious process, I’ll think of my beloved stand mixer, which is still sitting in a dark storage space in my hometown of Los Angeles. Put simply, when it comes to breads and cakes (and a million other edibles), it does the work for you and makes it easy to have homemade baked goods without having to schedule a chunk of time in your diary. So I was thrilled beyond belief when I was offered a beautiful stand-mixer to test out for a company in the UK called HiFi-Tower. It’s an e-commerce site known for having the best hi fi systems in the UK, and appeals to those looking for hi fi system, passive speaker, headset microphone and other audio accessories. But upon closer inspection, they also offer a variety of kitchen appliances like food processors, meat mincers, coffee makers and…STAND MIXERS! 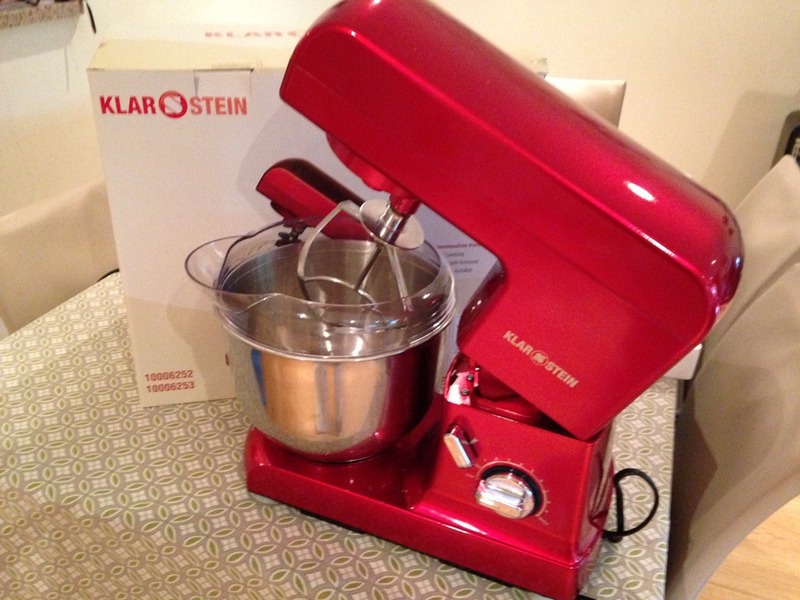 The kind folks at HiFi-Tower sent me a beautiful, shiny red Klar Stein Gracia Rossa mixer, which performs as great as it looks. It’s German made, and not widely available outside of the country, and that’s why HiFi-Tower is offering it on their site (“Why not let people outside of Germany have access to this beautiful piece of machinery?” reckoned one of the company’s reps – good thinking!). 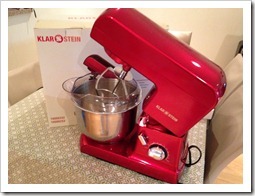 Unlike my stand mixer back home, the Klar Stein is light-weight and very easy to use. 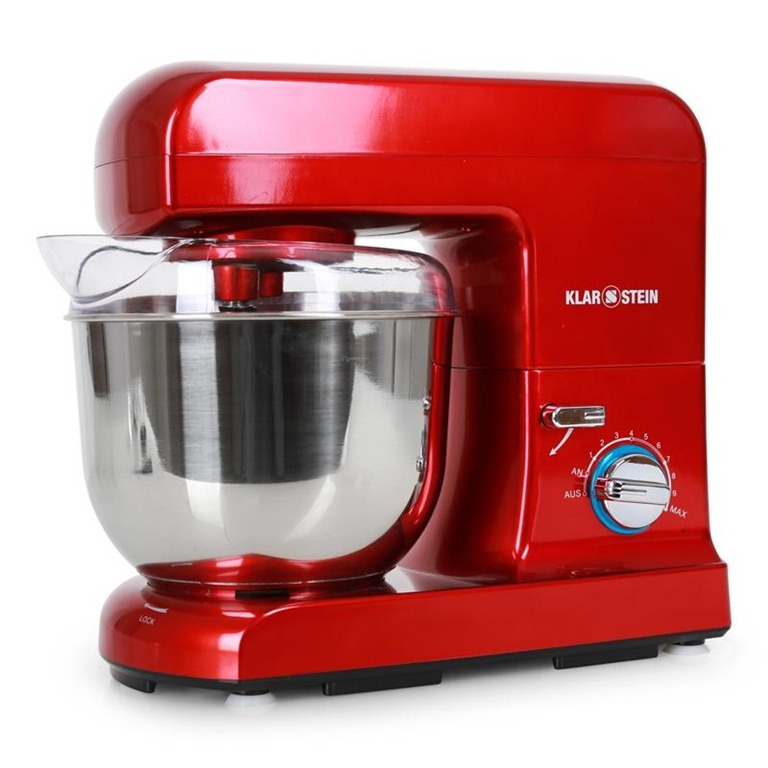 There are 10 speed settings, three different attachments (paddle, dough hook and whisk), plus a 5-litre stainless steel bowl and bowl lip attachment to protect you from flour clouds (you know what I’m talking about!). The bottom of the mixer features suctions to ensure the mixer stays in place on your countertop. As it is fitted with a German plug, HiFi Tower provides a free adapter so you can use it almost anywhere in Europe. I tested the Klar Stein the other day as I wanted to make a couple of loaves of bread for some new workmates. It was a weeknight and I didn’t have the time to hand mix, knead, etc. so I chucked all the ingredients into the bowl, used the paddle attachment to mix for three minutes and then switched it out with the dough hook to work the gluten for 4-5 minutes (with hand kneading you need to double that time). 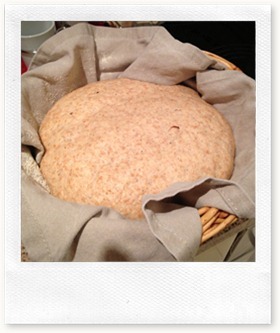 The mixer worked like a dream and in no time I had two, crusty rounds of spelt country bread to take to work. Don’t get me wrong – when I have the time, I love doing the process by hand. But with a stand mixer, I can easily whip up a batch of homemade bread even on a weeknight after work, and that to me is priceless. 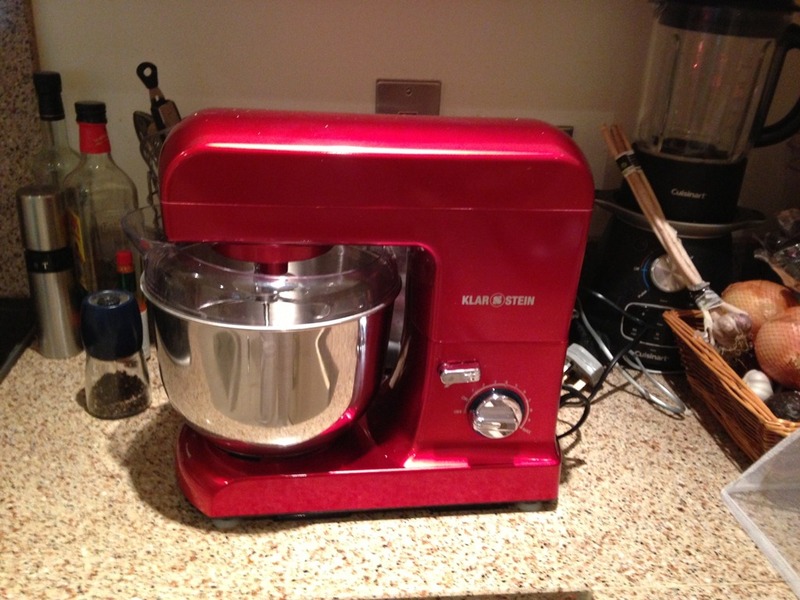 I’m looking forward to making cakes, whipping eggs and cream and making all kinds of other culinary delights with my new mixer – and now you can too. HiFi-Tower is also giving me another Klar Stein, exactly as you see it here, to give to one lucky blog reader. All you have to do is leave a comment on this blog post (only one entry per person – multiple entries by the same person will be automatically disqualified) and fill in the blank: “The smell of fresh-baked bread reminds me of ______________.” All answers will be put into a random draw, with the winner announced here on Monday, September 2nd. The competition closes at midnight on Sunday, September 1st. I’ll record the random draw as I know many of my own friends and fellow food bloggers will be entering (which is perfectly fine!) and I want to prove that the winner will be picked FAIR AND SQUARE! This competition is open to those in the United Kingdom (excluding all Islands), Austria, Belgium, Czech Republic, Denmark, Estonia, Finland, France, Germany, Hungary, Ireland, Italy, Latvia, Luxembourg, Netherlands, Poland, Portugal, Slovakia, Spain and Sweden. Best of luck – and here’s the spelt bread recipe to make with your beautiful new stand mixer if you win! In the mixer bowl, add in both flours, yeast and sea salt and combine using the paddle attachment. If you’re doing this by hand, use a spatula or your hands to combine the dry ingredients in a large bowl. With the mixer on a low speed (setting 3-4), slowly add in the tepid water. The dough will start to come together quite quickly and all the flour should incorporate into the water and form a sticky dough. Let it mix on for another 3 minutes (still using paddle attachment here). If you’re doing this by hand, pour the water into the dry ingredients and using your hand bring the dry and wet ingredients together. It will be very sticky at this point but once you get all the flour off the sides/bottom of the bowl, turn it out onto a surface that you’ve lightly brushed with olive oil, and start kneading. It will be very sticky at first, but after a few minutes it will start to pull away from your fingers and form into a more smooth dough. Continue to knead the dough for another 8-10 minutes, or until the dough is very smooth. 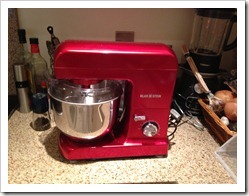 If you’re using the mixer: after the three minutes is up, switch to the dough hook attachment and turn up the speed to 5. Let the dough hook do its job for about 4 minutes, or until the dough is very smooth. At this stage, everything is the same for both mixer and handmade: Form the dough into a ball and place in a lightly oiled bowl. Cover with cling film and put into a warm place (I use my hot press) for 1.5 hours, or until the dough has doubled in size. After the dough has doubled in size, carefully tip it out onto a lightly floured surface and press the air out of the dough with your fingers. Do this for about 1-2 minutes, or until the air is knocked out. 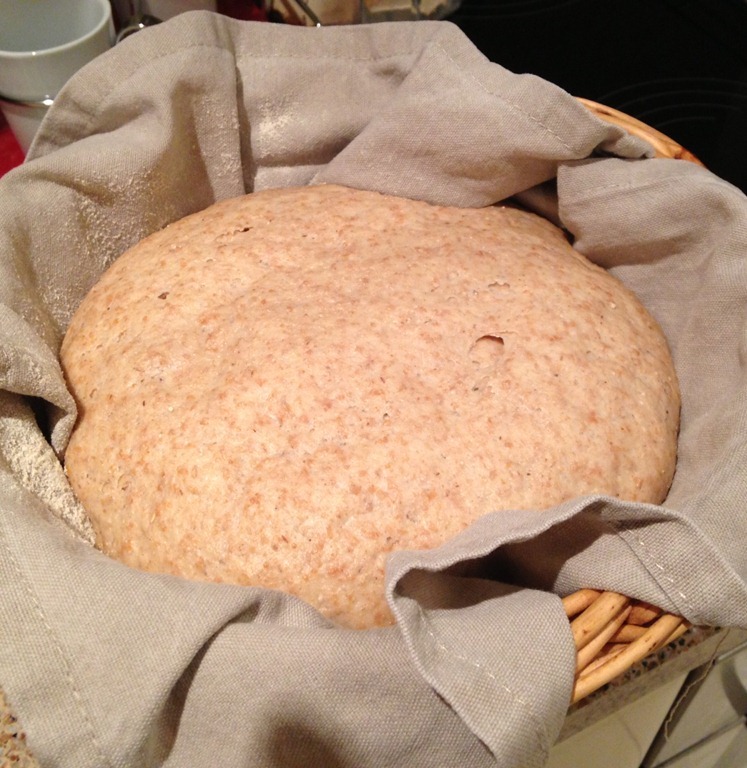 Form the dough into a neat ball and place into a proofing basket or bowl or chopping board – just make sure whatever you use that it’s well floured so the dough won’t stick. Let it rise again in a warm place for 45 minutes. Preheat your oven to 250 C, and place a baking pan on the floor of your oven. While the oven is heating up, sprinkle some semolina or corn meal onto a baking tray – this helps the dough from sticking to the pan. Tip the dough out carefully onto the baking tray, and then slash the top – I usually do a square slash on the top, but you can do whatever design you like. When the oven is ready, open the door and pour a small cup (teacup) of water into the baking pan on the floor of the oven, now quickly put your baking tray in the oven (not on the baking pan but on a rack above it) and close the door. Let it bake for 10 minutes, then turn the temp down to 190C and bake for another 30 minutes, or until the bread is golden brown. Tap the top and bottom of the bread after you remove it from the oven – it should have a nice, hollow sound. I used to volunteer in a charity shop in the centre and on the way home me and my friend would call into the bakery nearby. It was so good and is still there today. 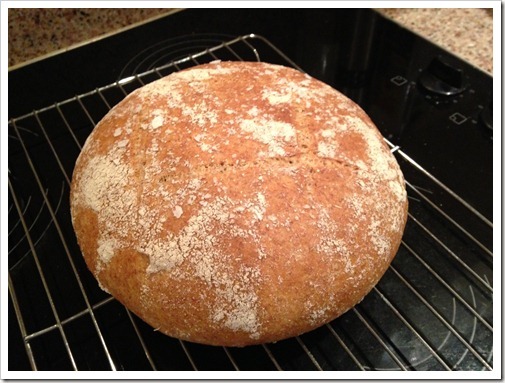 Reminds me of buying my first house… Fresh bread on the table and coffee in the pot…. Sucked me in instantly! 🙂 the butter melted right through YUM! The smell of fresh-baked bread reminds me of my childhood and mom’s brown bread been left out on the windowsill wrapped in a tea towel and the madness at the kitchen as to who would get the “heel” (the first and last slice), the best slices!! Congrats on finally enticing me to come out of the Irish internet shadows and respond to one of your posts! I’ve been reading since you made the journey across the pond and have enjoyed your posts and recipes and cultural ‘advice’. The smell of fresh-baked bread reminds me of sleepy Sunday mornings as a child. By the time we all sloped out of bed our mother would have baked a few loaves and they’d be just cool enough for breakfast! 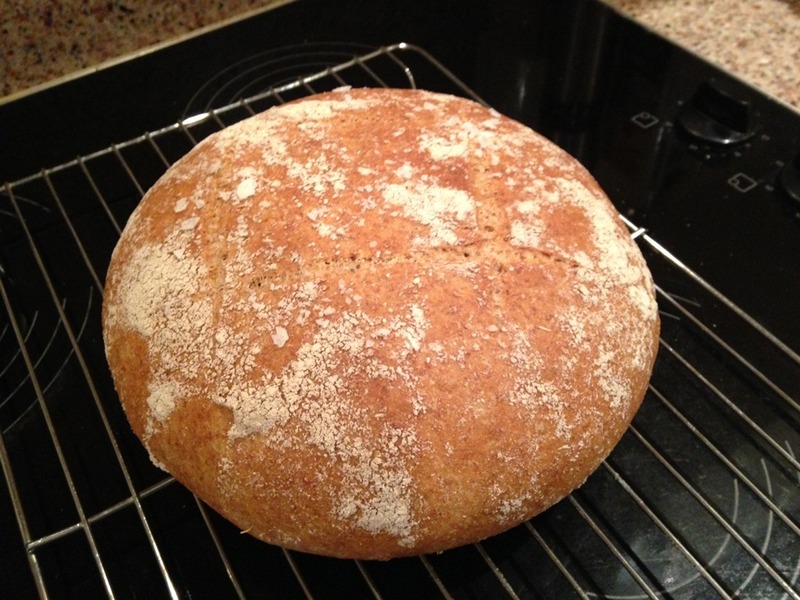 The smell of fresh baked bread reminds me of my first, less than successful, foray into real home cooking. The smell of fresh baked bread reminds me of home, as a teen, waking up late after a night out, the aromas dragging me downstairs for breakfast while my folks ate lunch. 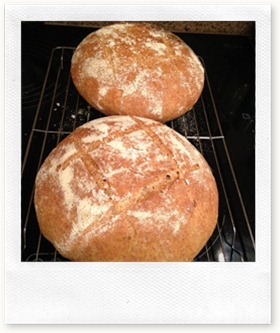 The smell of fresh baked bread reminds me of baking the weeks bread on a Sunday night with my mother. The smell of fresh-baked bread reminds me of Superquinn! A city child,my summers were spent in very rural Galway,Gran would bake brown bread,smother it in her own churned butter & off we’d go to the bog with Grandad.The smell of the turf,the taste of the bread brings back wonderful memories of a very happy time. 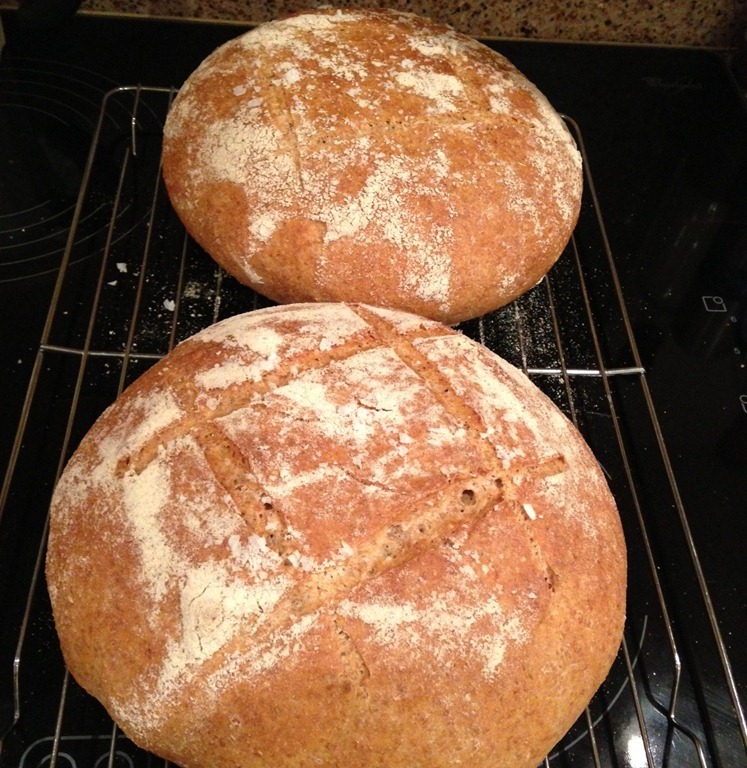 The smell of fresh baked bread reminds me that I love fresh baked bread! The smell of fresh-baked bread reminds me of home. Of my gran and my mum. Sunday afternoons with my family. it always leaves me with that warm and loving feeling. I really want to create these kind of memories with my son. The smell of freshy baked bread reminds me of home! The smell of fresh-baked bread reminds me of how hungry I am! An American in Ireland is powered by	WordPress 4.5.17 and delivered to you in 0.405 seconds using 45 queries.